It is probably the largest work of art, with a perimeter of more than 17 miles. People of Maree, deep in the Australian outback are not sure how it got there. A giant outline of an Aboriginal man poised to throw a stick has appeared apparently ploughed into the desert crust, near Lake Eyre. 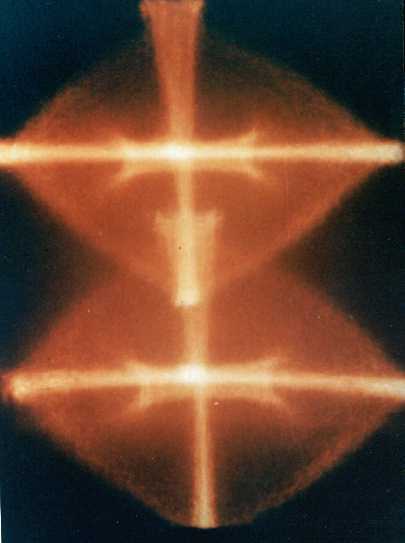 The figure two and a half miles long was spotted by Trek Smith a freelance pilot. An anonymous fax describing the giant reached local businesses. No one has claimed responsibility for the classic Aboriginal pose of a man carved into the dust near Finniss Springs in the north of South Australia state. Its outline is 30 yards across in places had been professionally pegged put and appeared to have been ploughed by farm machinery. There are no tyre marks to suggest the use of a tractor or a heavy loader and although this is an area where people know each others business for hundreds of miles around, nobody admits to hearing or seeing anything out of the ordinary. Even the fax shed no light on the puzzle. It simply gave directions to the carving and claimed it was "the world's largest work of art". 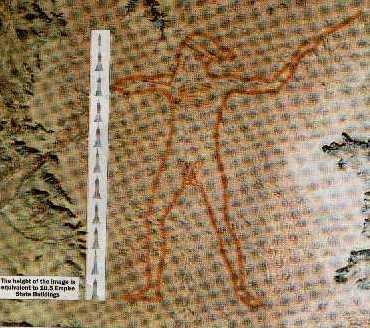 It is said to be five times the size of largest human drawings at Nazca in Peru. Maree is 370 miles north of Adelaide and boasts a population of just 60 people. 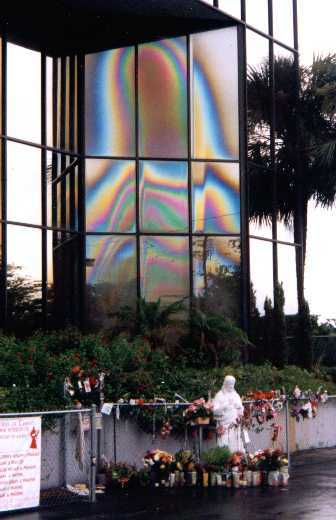 A rainbow-coloured image has suddenly appeared on an office building in Clearwater, Florida on the Gulf Coast of USA. It was turned it into a shrine and several million people have visited it and more people continue to every day. The owner of this $1.3 million building Mike Krizmanich believes that the apparition is a gift from God to be protected and shared. Krizmanich's Seminole Finance Corporation was housed in the building until the business was sold in 1997. But he did not want to sell the building and prefers to set up the shrine himself. 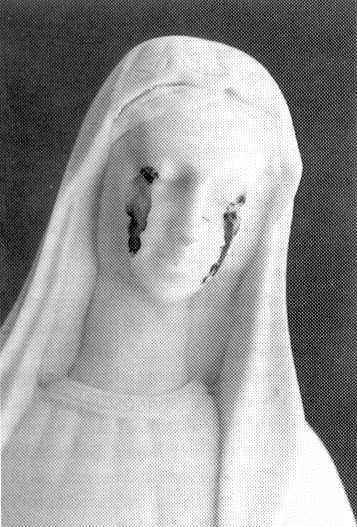 The quiet life of the small and secluded village of Mura, 50 km north of Barcelona was shaken when 6 March 1988 the local priest Llufs Costa discovered that a 70 cm tall white marble statue had been crying tears of blood. The statue had been brought from Medjugorje and exhibited on square outside the village church on a pedestal 2.5 metres high. When the news had spread to the media Costa had to hand over the Madonna to the Bishopric, where it is been kept under observation. Yankilla is a sleepy little country town nestling in a picturesque valley about one and half hours drive south of Adelaide in South Australia. 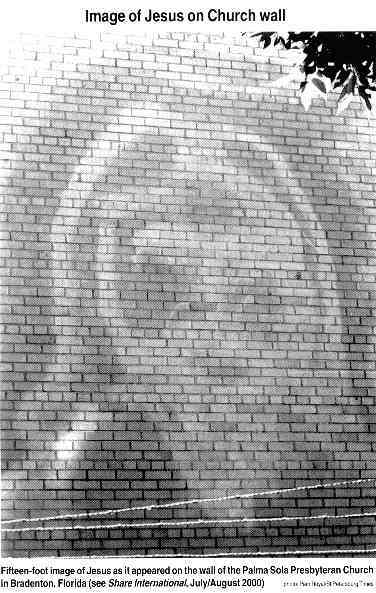 In August 1994 parishioner Susan Fehlburg first noticed the image of Madonna and child on the wall of the Anglican Christ Church. The image appears in what look like a patch of unevenness in the plasterwork above and to the right of the altar. In July 1996 Fr Andrew reported it in a local church paper. 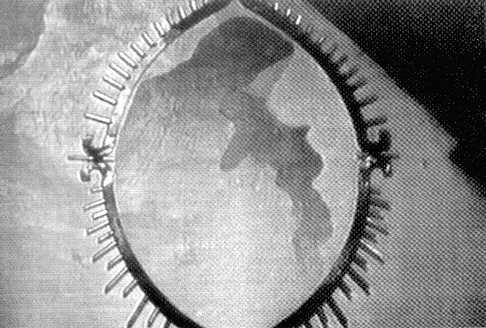 Since then the news of the apparition has travelled around the world. It was this extensive news coverage that brought a dowser to the site. 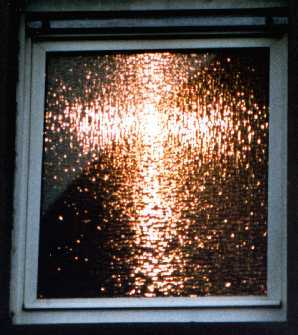 The dowser alerted the Fr Andrew to the presence of a stream of water running under the church. The discovery of the stream confirmed his feeling that this site might become a centre of pilgrimage and healing. 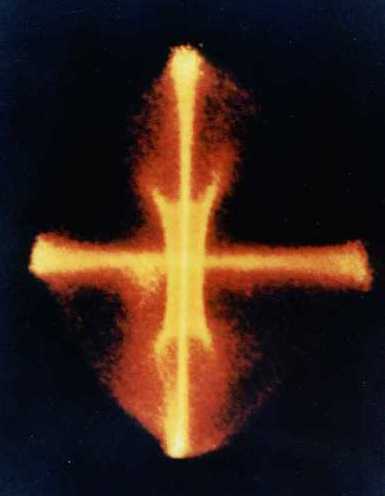 A fax to Benjamin Creme in London by Pasquo Cassetta confirmed that the apparition and the stream of water was the work of the Master Who was the Madonna and that the water would have healing power. A decision was made to drill for the water and another fax to London drew a recommendation from Benjamin Cremes Master regarding the location of the well. 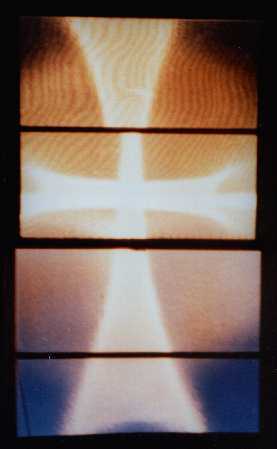 In late September 1996 a bore was drilled precisely at the recommended spot two metres from the wall in line with the image and water was found. Fr Andrew plans to offer the water to those attending his weekly Pilgrim Mass as well as to the stream of visitors who come to the church from all over Australia.